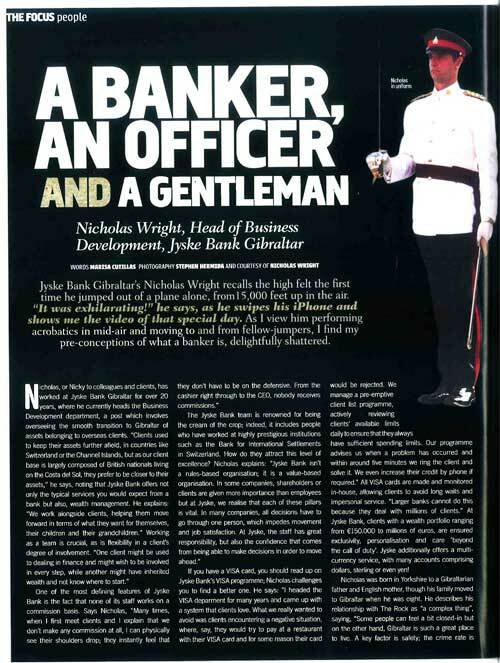 Exceptional advertising article of Nicholas Wright, Head of Business Development at Jyske Bank Gibraltar. Does that include bad crop such as unregulated (now disappeared) partners OMM, who extensively sold equity release to British pensioners and disabled retirees with –obviously- limited income, on fraudulent tax evasion proposals and deceitful regular income promises? Now Nicholas, why don’t you pull rank and pull your spade out to rip apart equity release contracts that your employer sold largely to British people in Spain?